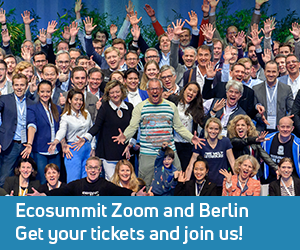 Archive for tag "car sharing"
Ecosummit TV: Oliver Lünstedt pitches Carzapp at ECO13 Berlin. While there are now 4 p2p car sharing startups in the German market, Carzapp is the first one to have developed their own hardware solution called ZappKit. The ZappKit enables wireless car access with smartphones used as digital keys. The magic hardware box also includes GPS and an immobiliser that prevents theft. While Carzapp is about to start their beta test in Berlin, they also offer their ZappKit to companies with significant car fleets they want to share. The B2B business of Carzapp is bound to grow quickly as the ZappKit is pretty price competitive. Carzapp is backed by angels and raised €250K in a crowdfunding round on Seedmatch earlier this year. Now Carzapp looks for fresh money to accelerate its growth. 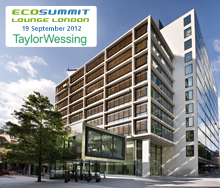 Meet Oliver at ECO13 London to get an update and talk smart green business. 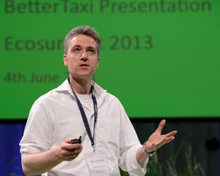 Ecosummit TV: Niels Beisinghoff pitches Bettertaxi at Ecosummit Berlin 2013. The Berlin-based smart green startup enters a crowded market of mobility apps and competes directly with Mytaxi. However, Bettertaxi connects to existing taxi dispatch centres and works everywhere in Germany. 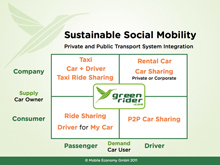 They also want to enable taxi ride sharing to make taxi mobility cheaper and greener. This is a cool idea which we had back in 2010 when we envisioned Sustainable Social Mobility (Weniger Autos ist mehr). Now Bettertaxi wants to raise €500K to accelerate its growth. Check out their iPhone and Android app to find out which one is the best taxi service in Germany. The ultimate goal are ubiquitous shared electric taxis. That’s what smart green cities really need. 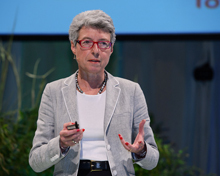 Ecosummit TV: P2P car sharing meets crowdfunding at CeBIT Code_n 2013. Jan Michael Hess interviews Oliver Lünstedt of Carzapp and Jakob Carstens of Seedmatch to learn more about Carzapp’s recent cleantech crowdfunding round and enjoy a magic ZappKit demo. Carzapp raised €250K within 3 weeks from 350 investors on Seedmatch, Germany’s crowdfunding pioneer. At Code_n13, Carzapp won a useful award sponsored by Continental who invites Carzapp to join their big booth at IAA 2013. Since September 2011, Seedmatch raised more than €4.5M for 36 startups from more than 3.000 investors. 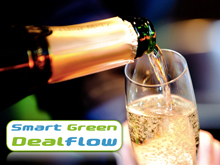 Cleantech crowdfunding rocks! While many cleantech VCs are holding back their money when early stage startups knock on their door, crowdfunding is another financing solution with added marketing value. 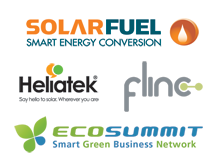 In fact, cleantech crowdfunding is happening today in Germany. Starting at 14:30 and going on until the funding limit is reached, German residents can invest in p2p car sharing made by Carzapp and social solar device charging made by Changers. Both Carzapp and Changers want to raise €250K selling 10% of their smart green startup with the help of a profit participating loan (partiarisches Nachrangdarlehen) managed by Seedmatch, Germany’s crowdfunding pioneer. Update: Within 3 weeks Carzapp raised €250K from 350 investors including us and successfully closed this crowdfunding round. 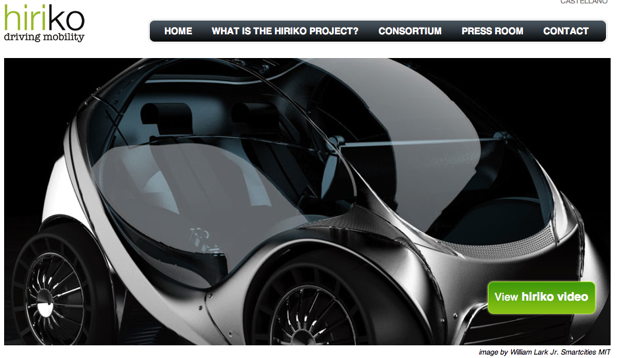 Cleantech crowdfunding rocks! Taxi 2.0: myTaxi, a very useful mobility service of Intelligent Apps, today raised €10M from car2go (Daimler), T-Venture (Deutsche Telekom), Xing Founder Lars Hinrichs (Cinco Capital, Hackfwd) and KfW. myTaxi is the taxi centre for the Mobile Economy and the app is available for iPhone and Android. Interestingly, Robert Henrich, CEO of car2go, believes that “car2go and myTaxi do not compete but complement each other.” In fact, I partly disagree as one way car sharing actually enables short trips from A to B leaving the car behind, the same way taxis do. Mein Gastbeitrag für den Daimler Blog vom 06.09.11: Reduce to the max, finde ich, ist auch heute noch ein gutes Beispiel visionärer Kreativität, gerade weil dieser Werbeslogan bereits 1997 von Smart erfunden wurde. In meiner Vision ist die Mobilität der Zukunft nachhaltig und sozial, denn immer mehr Kunden konsumieren ökologisch und ökonomisch zugleich. Sozial ist, wenn wir Autos gemeinsam effizienter nutzen. Nachhaltigkeit verpflichtet uns, unsere Autos mit erneuerbarer Energie anzutreiben. Das englische Zauberwort dafür ist Sustainable Social Mobility und beschreibt einen intelligenten Weg in die automobile Zukunft. Elon Musk turns 40 this year and is already the super hero entrepreneur of the smart green economy. Being an engineer he believes entrepreneurship means applying logic and critical thinking to a given problem in order to develop the best new solution. Elon likes to reinvent and reengineer problems on a big scale, especially transportation on the road and in space and production of clean energy. Next to being CEO and Product Architect of Tesla Motors, Elon is also CEO and CTO of SpaceX and Chairman of Solar City. Konrad Erzberger pitches his German startup Tamyca to investors at Ecosummit 2011. Tamyca offers peer-to-peer car sharing in Germany. This means that the shared cars are owned by private people and not professional fleet operators. The trick is an insurance tariff that covers any damage happening when you rent your car to another driver to make some money. Tamyca is first mover in Germany but already has 2 competitors. The business model is executed in several other countries by competitors, too. We believe it’s a hot business model and worth investing in.